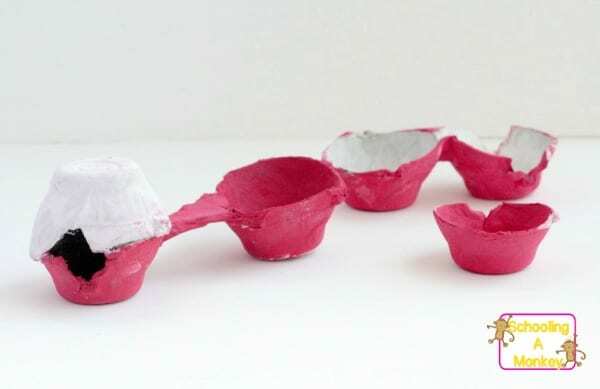 Become a Christmas engineer with this simple sleigh building challenge using egg cartons! 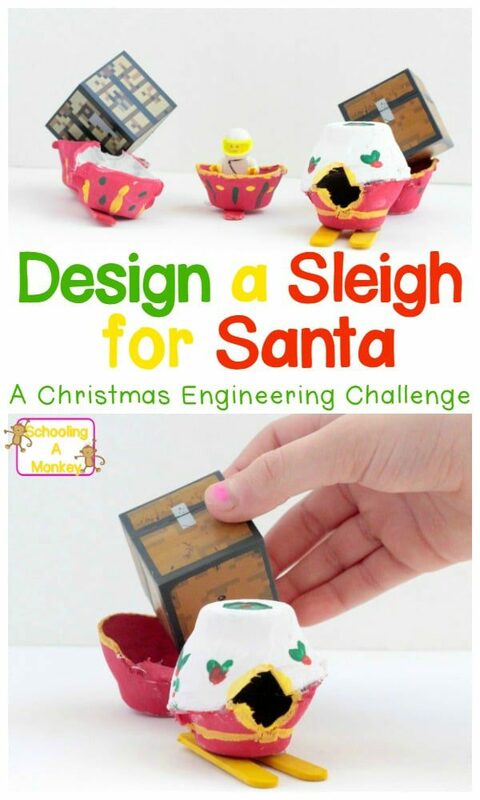 Kids will love this Christmas STEM challenge. At Schooling a Monkey, we like to make our holidays educational. Christmas is no exception. We have conducted many amazing Christmas STEM activities already, and the girls are having a blast! 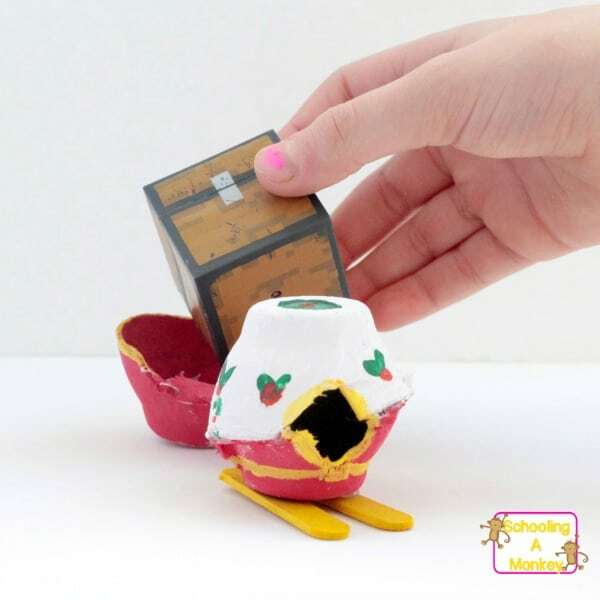 In this particular engineering activity for kids, I challenged the girls to create a new sleigh design for Santa using egg cartons. The designs they came up with were so cute and they had a blast making them. 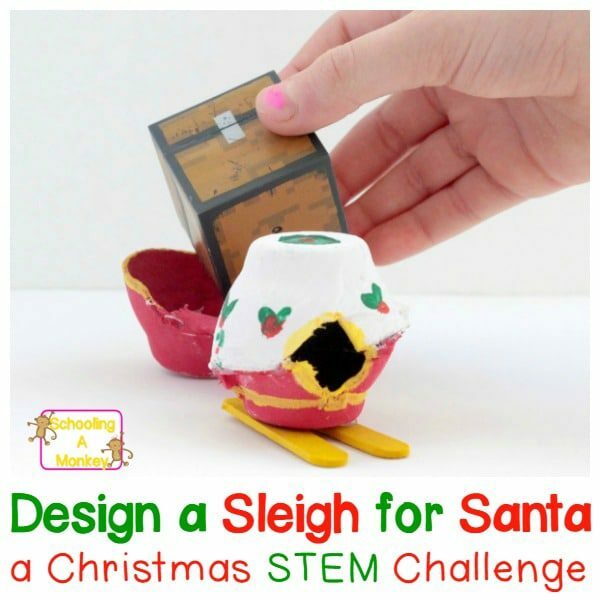 See how to make your own sleigh-building Christmas STEM activity below! 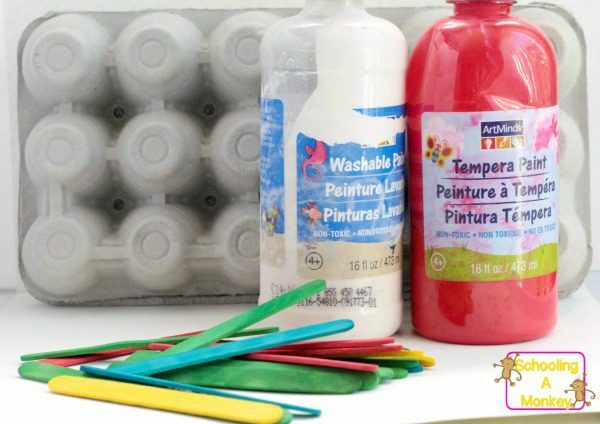 Get all the Christmas STEM activity ideas here! Before I called the kids over, I set everything they would need for the challenge on our table. I also pre-cut some of the egg cartons apart so they wouldn’t have to get bogged down with that. I challenged the girls to come up with different sleigh designs for Santa. They came up with three designs: A snowboard style sleigh, a double cart sleigh, and my personal favorite, the insulated sleigh. The reason for this one was they thought Santa should be better protected from the elements since he is traveling during the winter. After designing their sleighs, I let the girls paint them and decorate them how they liked. Once the paint dried, we put out test “Santa” and gifts in our sleigh to see how well they worked. The snowboard design didn’t work as well as the other two since there was no place for presents (which would obviously be a huge problem for Santa), but the other two designs worked great! 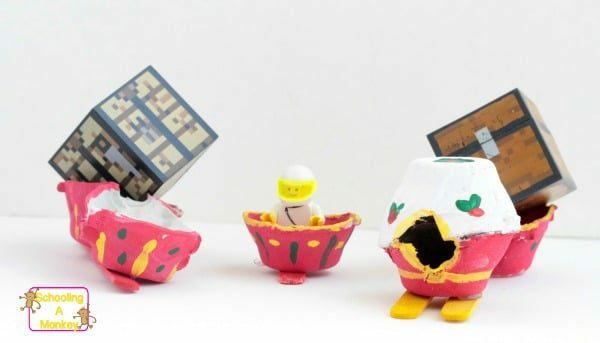 The girls spent most of their afternoon playing with their new egg carton sleighs.